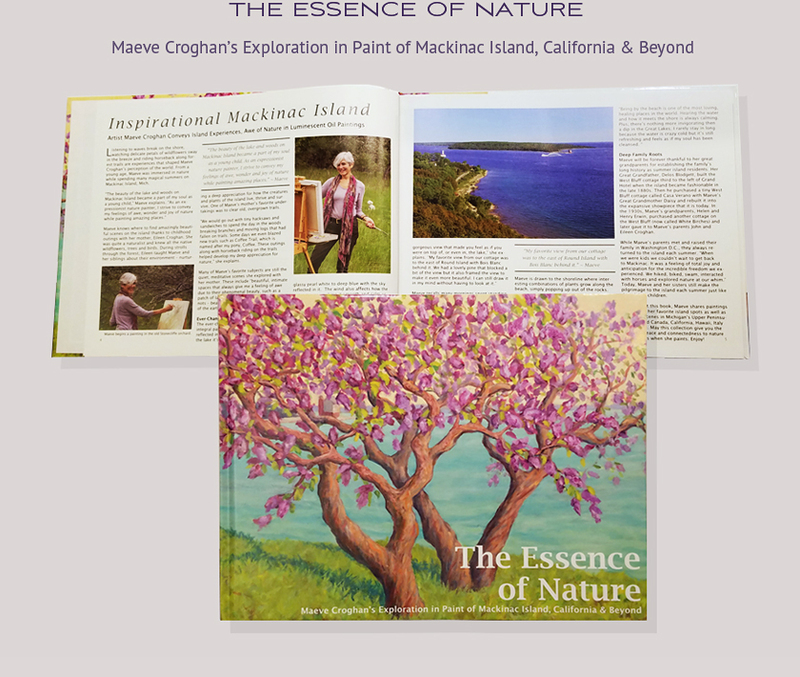 This eye catching coffee table book showcases Maeve's luminous oil paintings. Many of her best paintings of Mackinac Island, California, Italy, France and Hawaii, are featured in this lovely book, as well as interesting descriptions of the actual plein air locations of each piece. The book also describes Maeve's youth of being close to nature at an early age, and how these influences have affected her continued artistic voyage. One gains a deeper understanding of Maeve's creative process, her connection to nature and sense of peace she feels when she paints. Written by Jennifer Wohletz and published by Mackinac Memories llc., this 56 page book is a gem.